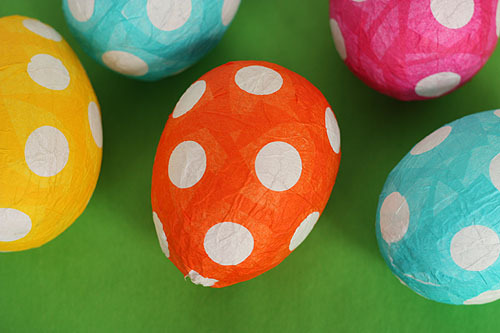 These fun paper mache easter eggs are a fun alternative to plastic eggs. You could even make them with the kids this year instead of dying real eggs. That way, if one gets lost in the yard for a while, you won't have to worry about the smell. After the kids help you make them, the Easter bunny can fill them with treats before he hides them. You can check out the paper mache Easter egg tutorial over at Not Martha. These look precious! Have you tried them with larger balloons? Maybe 6-8".